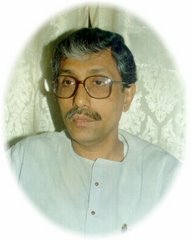 Hepatitis Foundation of Tripura became the First Non Govt Organisation, which make the impossible task possible, the organisation launched an ambitious plan to vaccinate the babies at birth across the state Tripura, which is the unique project implemented for the first time at any state in India as well as through any NGO. The project has been inaugurated at Indira Gandhi Memorial (also known as Victoria Memorial) Hospital at the capital of Tripura state of North East India. the Minister of health and family welfare of Tripura state Govt. Mr Tapan Chakraborti officially Inaugurated the Project today through Hepatitis B vaccination to the New Born Babies of Neo natal care Unit of the same Hospital. The Vaccinated Babies are belongs to Mother Brinda Debbarma of Takarjala, Mother Anamika Roy Of tufani Lunga, and Mira Paul Of madhya Dukli. The Inaugural ceremony has been takes place at the seminar hall of IGM Hospital by the chilli cold morning today, where the occasion has been presided by Dr Pradip Basak, Super of IGM Hospital along with other Guest dignitories like Dr S R DEBBARMA, Director, Health of Govt Of Tripura, DR R K DHAR, Director, Family Welfare Dept of Govt Of tripura, Dr Sukumar Deb, Dy Super of IGM Hospital And Dr (Asst Prof) Pradip Bhaumik, President, HEPATITIS FOUNDATION OF TRIPURA. In his inaugural address Miniter Sri Tapan Chakraborty said, "We are in the state, where the institution delivery in pregnancy is highest among all the states of India and we were certified for the same too. Hence the AT birth Free Hepatitis B vaccination will act as a inspiration to all the would be mothers to attend themselves at the Govt Hospitals." He prasied the Multi centric activity of the organisation to combat the HEPATITIS B through Muilti styled vaccination and treatment projects. He said, it is quite impossible for the state govt to take such initiative alonely by itself, hence for the State Govt decided to Help the HFT initiative of AT BIRTH VACCINATION plan designed in such a manner to succeed. He said, the organisation will provied the 1st dose at birth Hepatitis B Vaccination at the Hospital Bed Before Discharge at the FREE of cost with a advice to do the futher 2nd and 3RD dose Hepatitis B vaccination at the Proper 1month after and 6thmonth after through paying subsidised cost of Rs (INR) 20.00 for each." "The organisation will bare approx 8 lac of costing to immnise the new born babies of Tripura State at the Birth time at Hospital level to cover the total new born babies at the hospital level of 40000 in a year. Hepatitis Foundation of Tripura will supply logistics like vaccine, syringe, register and card etc to the respective health institutions. The project has been stated at the IGM HOSPITAL mainly for now a days and will be spreeded through the state map at 41 Govt hospital, where there the facilities of institutional delivery is being moves on." said HEPATITIS FOUNDATION OF TRIPURA state central President, Dr (Asst Prof) Pradip Bhaumik. He decribed the initiative as an uniqe as the first in the Country and initiated by the NGO only. 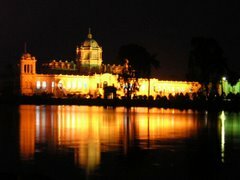 The Project had been annouced formally on 6th January 2011 yesterday, Co-incidentally on the 49th Birth Day of Dr (Asst. Prof) Pradip Bhaumik, HEPATITIS FOUNDATION OF TRIPURA state central President. The discovery of hepatitis B by Baruch Blumberg and his colleagues considered one of the greatest medical achievements of the 20th century. Blumberg discovered Hepatitis B virus in 1965, developed blood test that is used to detect the virus, and invented the first Hepatitis B vaccine in 1969. In 1976, Dr Blumberg won the Nobel Prize in medicine for his discovery of Hepatitis B virus. In 1980-81, Maurice Hilleman first discovered the plasma derived vaccine and was approved by FDA for human use in 1981. It was not very successful in the market place, because clinicians knew that it was a product from human blood source. Hilleman’s collaborators succeeded in 1986 in making the antigen in yeast. This vaccine is recombinant DNA vaccine. This is the vaccine still in use today. In 1991 Hepatitis B became part of the recommended immunization schedule in the United States and many other countries of the world. It has been proved beyond doubt that Hep B virus is transmitted through blood. But this blood route varies country to country, region to region and community to community. The most common route of transmission in India is Perinatal Transmission which is about 40%. 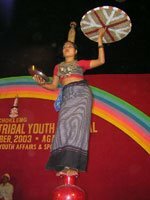 This vertical transmission is higher among people from aborigine group in India. A positive mother has got 20% risk of transmitting the virus to their offspring at the time of birth. The risk is as high as 90% if the mother is also positive for HbeAg. Hepatitis B virus infection may either be acute (self limiting) or chronic (long standing). The chronic infection ultimately leads to further complication like Liver Cirrhosis or Hepatocellular Carcinoma. If infection occurs during birth, 95% of the new born gets chronic liver disease, but 30% younger children can clear the virus and 95% of adults can do so. It means mother to child transmission is the most dangerous, from transmissibility and disease Chronicity point of view. 1965: Hepatitis B virus discovered. 1982: Hepatitis B vaccine first became available. 1984: Taiwan launched first universal vaccination against Hepatitis-B. 1992: WHA resolution 45.17 called for member states, "…to integrate cost-effective new vaccines, such as Hep B, into national immunization programs in countries where it is feasible…"
1992: WHO recommended that all countries integrate hepatitis B (Hep B) vaccine into national immunization programs by 1997. 2005: WPR sets goal of reducing chronic HBV infection rates to less than 2% among 5-year-old children by 2012. 2007: Over 88% of member states (171 out of 193) have introduced Hep B at birth vaccination in expanded program of immunization. 2007: Hep B-birth dose global coverage 27%, and Hep B3 coverage 65%. November 2009 SAGE strongly recommended all regions/associated countries develop goals for HBV control appropriate to their epidemiologic situations. 2010: World Health Organization declared “28th July” as World Hepatitis Day. The birth dose of hepatitis B vaccine is recommended by the National Health and Medical Research Council, USA and almost all scientific bodies. Serologic surveys provide evidence that the incidence and prevalence are dramatically reduced in populations that have universal vaccination of infants. Several studies have shown that in the first decade of life, acute infections are uncommon, and chronic infections are rare in populations in which infants are vaccinated. The risk of chronic infection is highest in the young: 90% for infants, 70% for children and 5% for adults. The birth dose of hepatitis B vaccine is also recommended because: It reduces the risk of babies getting hepatitis B disease from a household member who is a hepatitis B carrier (this is not always known) "At risk" babies may otherwise miss out on having the vaccine. It provides protection from hepatitis B disease for babies who may be late with their first dose of immunization. The report shows that at birth infant Hepatitis B vaccination could be the best way to reduce the burden of disease. However, even after 20 years of adoption of at birth vaccination policy by many countries of the world, India could not take the initiative. Our country is the rarest example which has got “No policy for Hepatitis B vaccination”, though India is in intermediate zone of disease prevalence and need to be reduced. On the contrary China, having the largest population of world introduced “At Birth vaccination” as early as 1990. In that year itself they have achieved 73.29% success rate. From 1999 they have started having >99% at birth vaccination and in 2009 they got 99.98% success. It shows a good Governmental policy can make the vaccination program most successful and ultimately can reduce the disease burden. Taiwan started at birth vaccination as early as 1984 & could reduce Hepatitis B infection from > 20 % to <2 % by 2000 AD. They have reduced the Liver Cancer drastically. New Project of Hepatitis Foundation of Tripura “At Birth Hepatitis B Vaccination”- “- is going to be a historical initiative, after the success of Hepatitis B Eradication Program. All infant born in hospital should be given at discharge vaccination. All infant born at home should also be brought under the coverage of the program (up to 14 days). 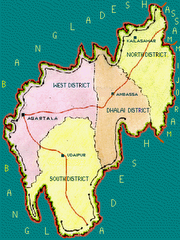 The total birth in Tripura state in the year 2009-2010 is 45,696. Out of this institutional delivery were 36,479(79.82%). There are about 37 centers where the facility of safe institutional delivery is available. Selection of Centers: All the Health Institutes of Tripura wherever Institutional delivery is taking place will be included in this project in a sequential manner. A. MCH centers of all Health Institutes. B. 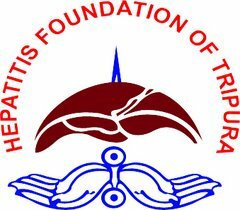 Branches of Hepatitis Foundation of Tripura. Vaccine, Syringe, Register and Card etc will be supplied by HFT to the respective Health Institutes. At birth Hepatitis B Vaccination is given following the same schedule as in adult i.e. 0-1-6 month. The first dose will be given before discharge from the hospital and second dose will be given after one month and third dose is given after six month. 1. First dose of Hepatitis B vaccine for child born in hospital will be given free of cost. This will involve an expenditure of Rs. 8 lac every year. 2. The second and third dose of vaccine (at 1 month & 6 month) will be given in Hepatitis Clinics of respective Hospital against a subsidized price of Rs. 20/-(Twenty) only per dose. Hepatitis Foundation of Tripura will take all steps for awareness generation among all care providers & pregnant mother .International philanthropic organization BMSF promised to extend help for Awareness Generation but not for vaccination. Role of Govt. Of Tripura Govt of Tripura has issued necessary order & requested all Health Care Providers to participate in the program actively. Hepatitis Foundation of Tripura has got wonderful infrastructure and dedicated volunteers throughout the state. The State Government of Tripura with all constrain is extending enormous institutional support to the foundation. At birth vaccination program will be an innovative initiative. This will definitely reduce the prevalence of Hepatitis B in Tripura. This will be a path breaking event in India. This will also increase the Institutional Delivery. After the success of Hepatitis B Eradication Program we are confident that we will succeed in our future program of At Birth Vaccination. We need help and support of all concerned.